For many, the holiday season is full of joyous occasions with loved ones. This time often creates long lasting memories that let us step away from the everyday grind of life, rejuvenating the soul with well deserved time for relaxation leading to reflection. 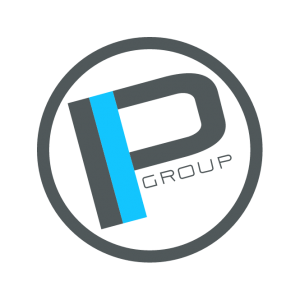 Each year seems to pass by faster and faster, as we witness Premier Innovations Group culture and vision materialize. Together we move closer to a fine finished puzzle that forges together piece by piece with trials and tribulations, leading to exceptional daily wins. We have many things to be thankful for as a company overall. We have experienced many wins already this year, and we are about to enter our busiest and most anticipated sales season of the year. Planning for new brands is always at the forefront for Premier, but we cannot help to notice that our flagship brand Clique Vodka deserves the limelight for this address. I would like to start by taking a step back to reflect on the last eight months of extreme team sacrifice and performance. This sacrifice consisted of transitioning the old Clique Vodka packaging to the new packaging. The new package consists of a sleek, black transparent glass bottle with screen printing directly on the bottle instead of a paper label. The brand image is completely updated and modernized. This past weekend we had the pleasure of launching our new black bottle on Black Friday. I am proud to announce that over 2,900 cases of new product reached US customs November 7th and we delivered orders immediately to Total Wine and More, which spans 13 states, along with the four states we’re currently sold in. This week, product will begin to filter into the Pennsylvania Fine Wine & Good Spirits stores and be available for purchase. Total Wine and More will also process the product and many of the major cities in the country will have the new black bottles soon. Shortly, the state of Ohio and West Virginia will be receiving the new product and the delivery to several distributors outside the US will come to fruition. We are very proud of the fast expansion as Clique Vodka begins to solidify foothold. The new distributor orders have created record breaking sales numbers for us and we are now excited to pass the baton to the consumers for purchase. We are moving leaps and bounds towards quickly becoming a global brand. “The New Black” Clique Vodka bottles unveiled on Black Friday is a monumental win that will be talked about for years to come in the industry. It was a bold move and could be seen as a risk to the momentum of our fine business. It was a calculated risk that took total team commitment and patience. As we get closer to seeing the results of this move, we could not be more optimistic or confident with our decision to take the step back and divert all our efforts to the launching of a superior revamped Clique Vodka. Our supporters agree and there is no doubt that this product is among the best in the world. We proved that we are better in taste by winning two internationally gold medals in 2012 for quality. We are proud to present this amazing packaging, truly fulfilling my goal from day one of creating incredible value for you, the consumer. Here it is–“The New Black” boosts unprecedented value in the industry. As I often do in these addresses, I would like to inform and encourage our supporters to look out for us and be part of the Clique Vodka movement. We want you to participate and get involved in the growth of this fine brand and realize this is just the beginning. Please be on the lookout and watch and see what is happening as this launch culminates and spreads on CliqueVodka.com. We need your feedback and help in making our company even better during these extremely exciting times. In closing, here at Premier we would like to thank you, as always, for the wonderful support and care you provide us. With the holiday parties around the corner, more abundant opportunity to enjoy a fine beverage is apparent. Our products are the number one choice for those beverages, but remember drinking is not to be taken lightly. Responsibility is the key that keeps our business where it should be and that’s on the up and up. As I always remind you when you pick up “The New Black” or Don Pantaleon Tequila, please be smart in your decision making. This holiday don’t forget to Clique intelligently and drink Don dubiously. Clique Vodka reinvents its brand and launches a new sleek black bottle design, and expands to 12 more states with national private distributor Total Wines & More. (November 23, 2012)—Clique Vodka is happy to announce their national expansion to 12 more states, making a total of 17 available states for purchase. 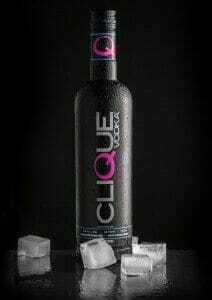 You will now be able to purchase Clique Vodka in the following: Arizona, California, Delaware, Florida, Georgia, Maryland, Nevada, New Jersey, Ohio, Pennsylvania, South Carolina, Tennessee, Texas, Virginia, Washington and West Virginia. In conjunction with the national expansion, a revolutionary new packaging and brand identity is also launching at the same time. A new, sleek, state-of-the-art black bottle will be introduced – a first for the industry. The idea began when Frank Bachurski, VP of Marketing for Premier Innovations Group decided that it was time for Clique Vodka to use the industry research gathered over the past two years to really tap into the brand’s true potential and create a defined niche for itself in the international vodka market. The vodka’s quality and taste has been proven again and again, winning 2 Gold medals in the SIP Awards and the Los Angeles International Wine & Spirits Competition in 2012.